So this has been a quiet week on Instagram for me which usually means I'm working on things which I can't show publicly like quilts for magazines, books or fabric manufacturers which need to be kept under wraps until they're published which I find very frustrating as it means I only have my family to show them too and they are frankly, pretty bored of my quilting endeavours! So the highlight of this week was a day out in London with my little sister and Mum on my Mum's birthday. My big sister sadly wasn't there as she lives in France so it was a bit far for her to come. 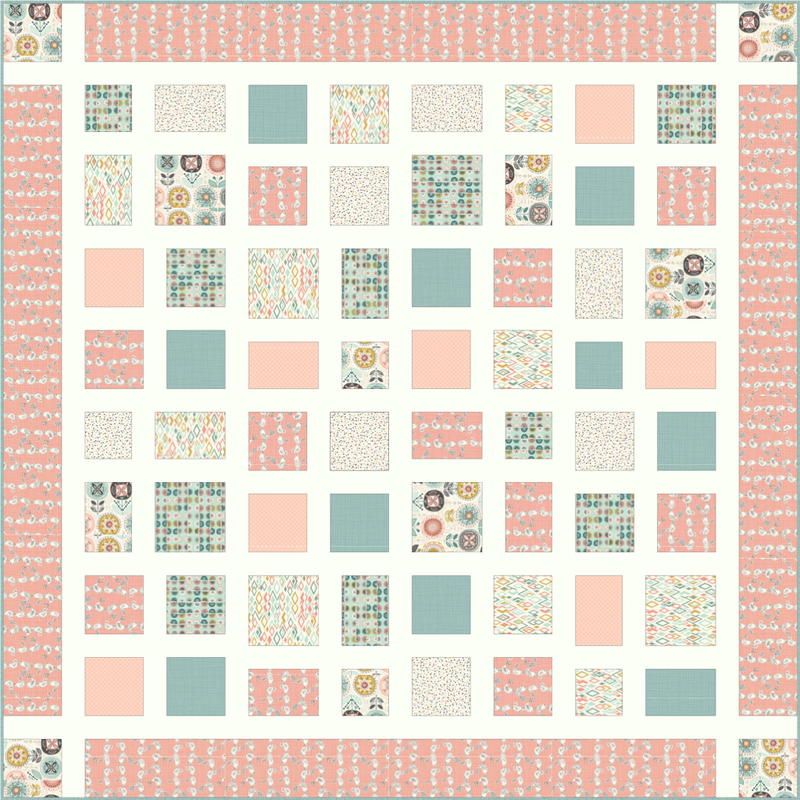 I've been on Touchdraw once again designing this quilt for a new line coming soon from Makower called Sophia which has both the palette shown here as well as a darker palette with more mustard teal in - very cool indeed. 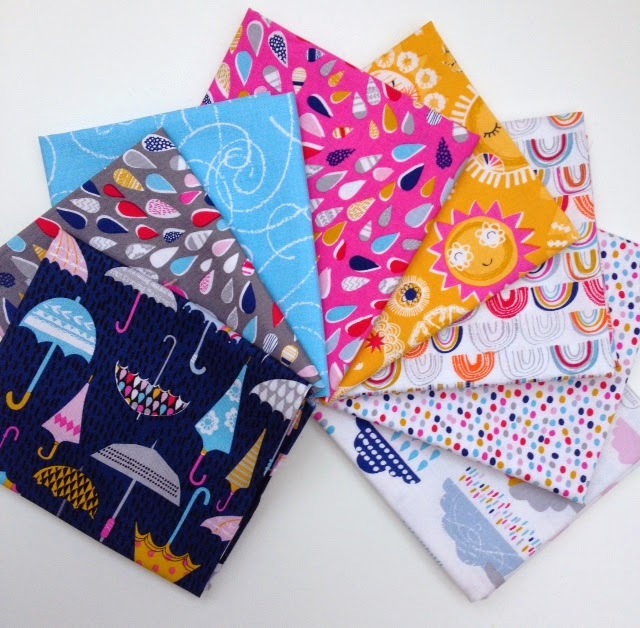 This lovely bundle of Rain or Shine came in from Dashwood Studio. As ever, they mix lovely prints with an unusual palette which seems to be to be becoming their signature. And finally I paired the perfect solid (RJR Supreme Solids Tropicana) with the perfect Aurifil thread 5002. This is a for a quilt I'm making with Cotton + Steel Black and White and RJR tropicana which is sadly one of those which has to go under wraps until next spring. It must be so hard to keep your secret sewing a secret!